Ahhh Lush. How I love you! Not sure if I'm just making this up or not, but I'm pretty sure this is one of Lush's post popular products. 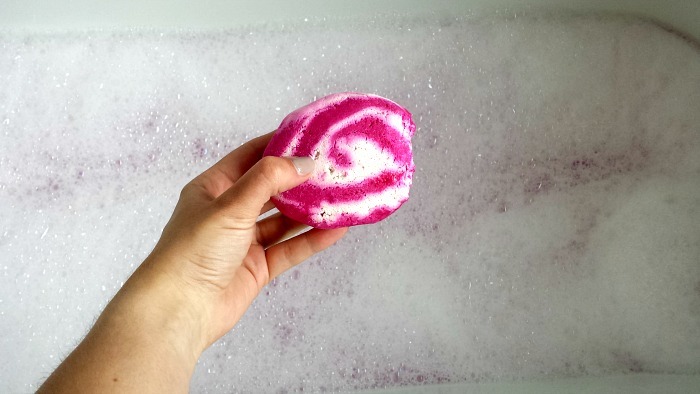 I'd heard so many people rave about this bubble bar that I had to run out and treat myself. "Sometimes you just need to shut yourself off from the outside world under a blanket of fruity foam that will put you back in the right frame of mind to face the world. This bar is supersized, so you’ll only need to crumble half a bar under your tap to make enough bubbles for a long, comforting soak. Cassis absolute gives a distinctive blackcurrant fragrance, while bergamot adds an uplifting note". 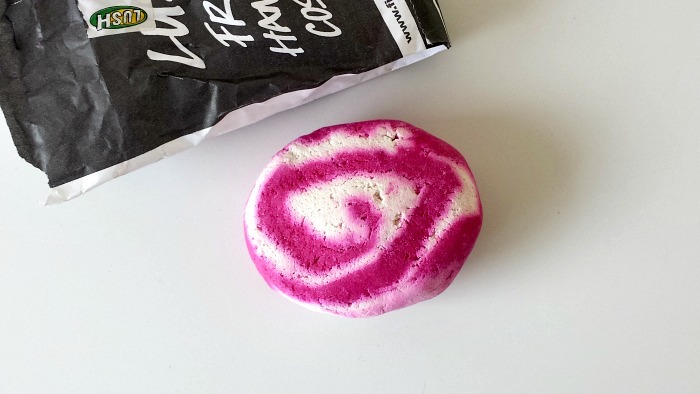 At £4.50, you might think it's really steep for 'bubble bath', but it's double the size of Lush's other bubble bars, and even though Lush say to crumble half a bar into the bath, you really don't need to. As you can see from the photo above, I crumbled the tiniest amount from the end of the bar and created all those bubbles. So you can add as much or as little as you like to make it last. 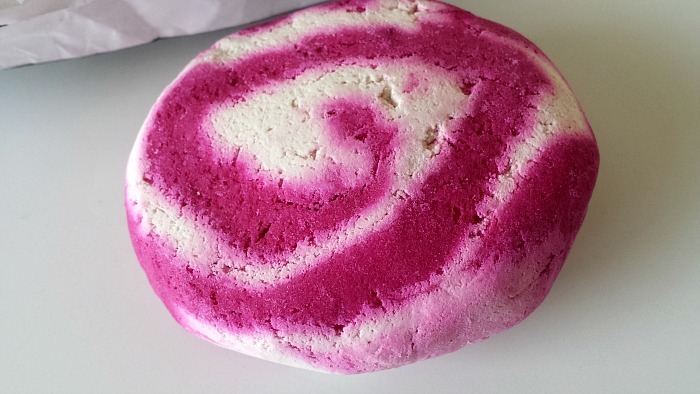 I absolutely love this bubble bar - it turns the bath water pink, whilst adding the most amazing Ribena smell and making my skin feel silky soft. YUMMM!